"Feeling a connection to the earth beneath your feet is an invaluable experience. Visit us and share our passion for the Earth's stones every time you walk through our doors." We Have Tons Of Stones! No matter what type of stone you may be looking for chances are that you will find it at Earth's Core. Are rocks that are plain on the outside but have beautiful crystals of color the inside. They are one of Nature's most beautiful creations. Himalayan salt crystals neutralize bad odor, remove allergens and bacteria from the environment. and have a calming effect on the body that will help you sleep. With a custom designed creation from Earth's Core. It's a step into a whole new way of engaging your senses. 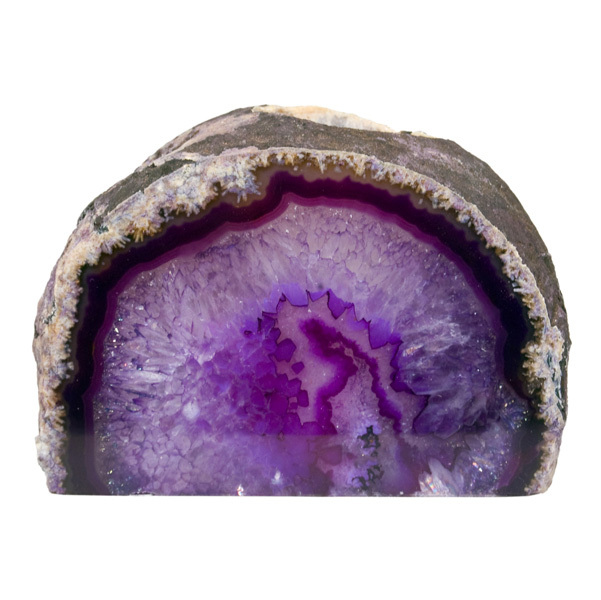 You can spend hours perusing the thousands of different types of stones and marvel at the artistic majesty of nature herself while studying the colorful marvel of a "made by nature" Geode. The journey doesn't stop there. As you walk through the store, you will find many hidden treasures that only Earth's Core has to offer. See for yourself the treasures that only Mother Earth herself can produce. Looking for a unique gift or that original "something" that your home or office is needing? Come take a moment to enjoy our casual atmosphere. Let us show you the many treasures we have to offer and let our friendly knowledgeable staff help you find that perfect item that you have been searching for. Feeling a connection to the earth beneath your feet is what you can expect each and every time you visit us at Earth's Core.